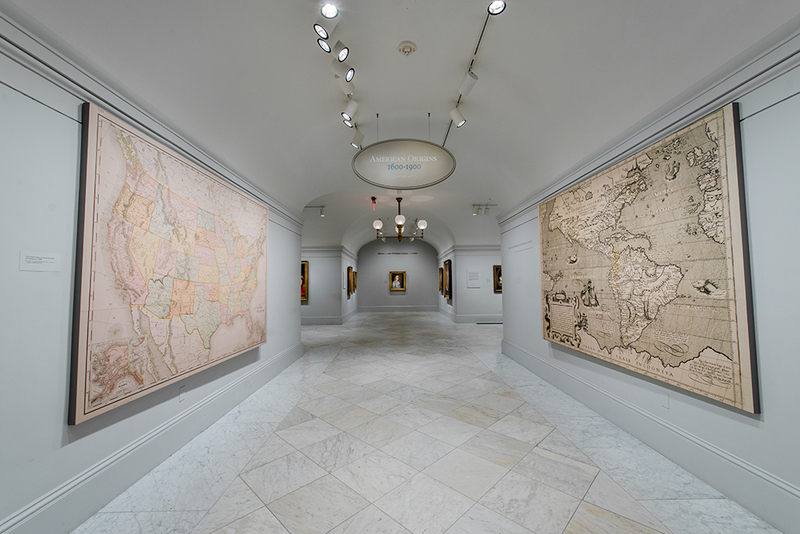 A “conversation about America” is on view in a series of 18 galleries and alcoves chronologically arranged to take the visitor from the days of contact between Native Americans and European explorers through the struggles of independence to the Gilded Age. Major figures from Pocahontas to Alexander Hamilton, Nathaniel Hawthorne to Harriet Beecher Stowe, and Frederick Douglass to Thomas Edison are among those included. Three of the spaces are devoted exclusively to the Civil War, examining this conflict in depth. A group of modern photographic prints produced from Mathew Brady’s original negatives complements the exhibition. Highlights from the Gallery’s remarkable collection of daguerreotypes, the earliest practical form of photography, are on view in “American Origins,” making the National Portrait Gallery the first major museum to create a permanent exhibition space for daguerreotype portraits. 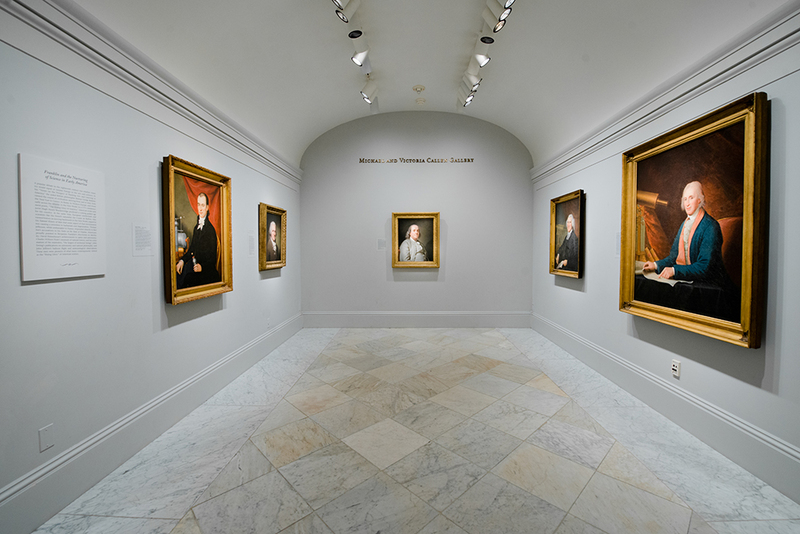 View of "American Origins." Photo by Matailong Du.